Released in the 2554 BE Wai Kroo master day ceremony, along with a range of colored lockets, which also featured the Maeng Mum Dak Sap money trap spider weaving its web on the front face. The Lockets were released in two different sizes; ‘pim lek’ (small) and ‘pim yai (large), and in various colors with varying sacred inserts in the sacred powders of the rear face of the lockets. 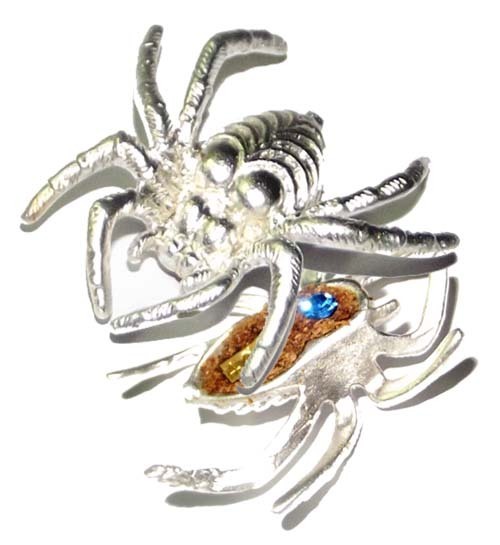 These money spiders are also filled with sacred muan sarn of hundreds of different holy and magically powerful ingredients, as can be expected from a nationally famous top temple with top guru master presiding. 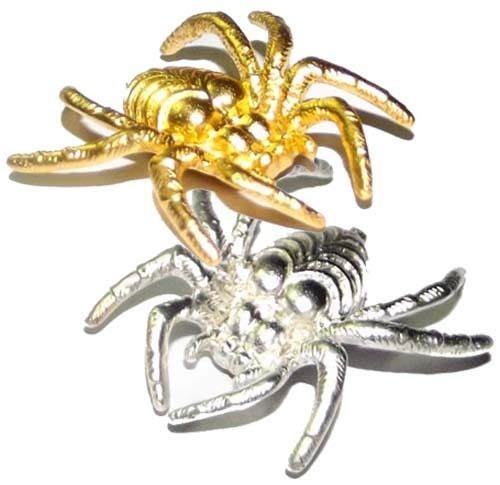 The spiders were made in silver or gold plated exterior finish. 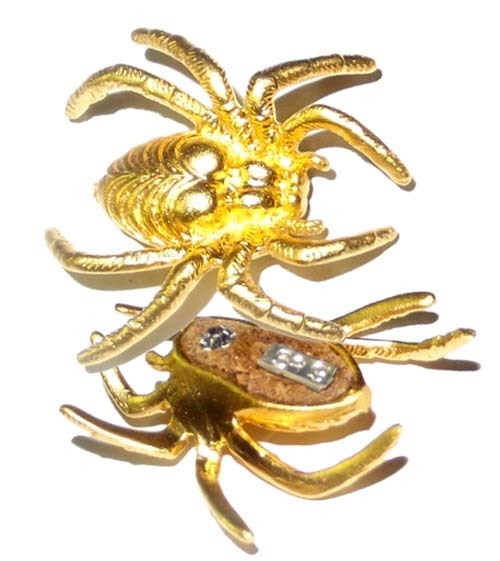 The spider amulets are empowered to attract, reel in, and keep money and treasures that float by as opportunities, and draws wealth and treasured items into your possession. Aehi Aehi Aakajchaaya Aakajchaahi Aehi Jidtang Bpiyang Ma Ma ; then think as hard as possible, and say in your heart with the most focus you can muster:”Call luck and wealth to come to me please”.